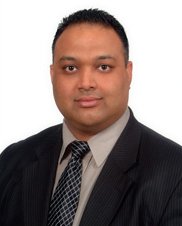 Aman Sharma is practicing law since 2008, in the province of Ontario, Canada. He has since been practicing in the areas of Real Estate Law, Civil Law, Immigration Law. Our firm is committed to provide excellent legal services in a cost efficient fashion. We approach every legal problem with our clients' interests foremost in mind. We are committed to providing sound advice, creative strategy, effective negotiations and experienced advocacy. Our firm is committed to provide excellent legal services in a cost efficient fashion. We approach every legal problem with our client's interests foremost in mind. We are committed to providing sound advice, creative strategy, effective negotiations and experienced advocacy. © 2014 law office of aman sharma. All Rights Reserved.